The DS-MPE-CAN2L is a rugged, low cost dual port CAN 2.0 PCIe MiniCard module that is ideal for CAN expansion in embedded and OEM applications. 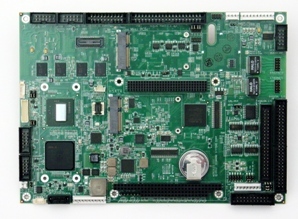 The module implements a CAN protocol bus controller that performs serial communications according to the CAN 2.0A and CAN 2.0B specifications. The protocol uses a multi-master bus configuration for the transfer of frames between nodes of the network and manages error handling with no burden on the host processor. Error analysis features enabling diagnostics, system maintenance, and system optimization. A listen-only mode enables CAN bus traffic analysis and automatic bit-rate detection. The DS-MPE-CAN2L product comes with the PCIe MiniCard hardware assembly, a cable kit with two CAN cables, and a hardware kit containing jumpers	and mounting screws.